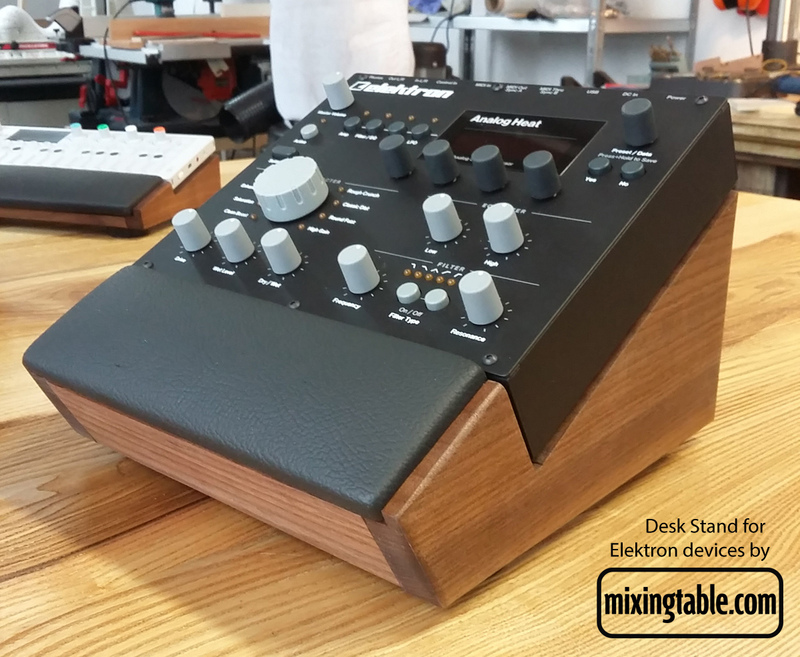 Lux Desk Stand for Elektron devices by mixingtable. Angle of slant 28 degrees. Padded black vinyl wrist rest. No assembly required. We make everything to order. Estimated shipping date 21 days from payment. 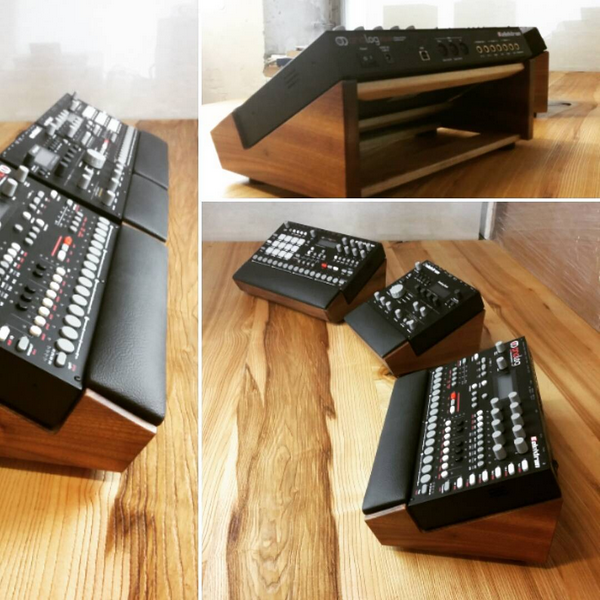 Elektron Lux Desk Stand for one A4/Rytm/Octa/MD - 195 Euro + 32 Euro Shipping to ANY Destination worldwide. Elektron Lux Desk Stand for one Analog Heat/Digitakt - 175 Euro + 30 Euro Shipping to ANY Destination worldwide.